The Center for Biological Diversity (CBD), a Tucson, Ariz.-based environmental activist group, has used the legal system for years to delay federal leasing of minerals. These delays are costly not only for federal and state government coffers, but for the local communities and forests CBD claims to be trying to protect. CBD’s latest target is Ohio’s Wayne National Forest – where CBD has claimed victory after victory over ongoing delays of federal permitting and, most recently, the cancellation of a federal auction lease sale. CBD says its mission is “to secure a future for all species, great and small, hovering on the brink of extinction.” But as EID has highlighted before, CBD is actually an extremist “multimillion dollar litigation factory” that brags about ignoring science and the law in pursuit of its agenda. What is CBD’s real agenda? To use “psychological warfare” to “mock” regulators and “destroy” and delay projects of every type – not to advocate more effective regulations or to protect the environment. The Wayne National Forest provides a perfect case study illustrating CBD’s tactics. The group recently stated that the “feds” are finally “listening to their concerns” with regard to its efforts to “stop all fracking in the Wayne.” In reality, of course, all of these delays can be traced to the CBD’s May 2017 lawsuit alleging, among other erroneous claims, that the Bureau of Land Management (BLM) and U.S. Forest Services violated the Endangered Species Act by allowing fracking in the Wayne. EID will look at what the CBD claims to be, how the group articulates its real goals in rare moments of candor, its playbook of techniques designed to mislead reporters and frighten the public, and the disturbing business model that has evolved over the years to, among other things, fleece taxpayers through a technicality in the Endangered Species Act. What does CBD actually do? CBD employs a number of manipulative techniques, but its bread and butter is using the law to “turn one side of industrial society against itself” and abuse the law to fund its absurdly large budget – often through taxpayer dollars. In a 2009 interview, CBD founder Kieran Suckling explained how the CBD playbook works – sue a federal government agency, attempt to “mock” and “destroy” regulator’s careers during litigation, and ultimately settle out of court. 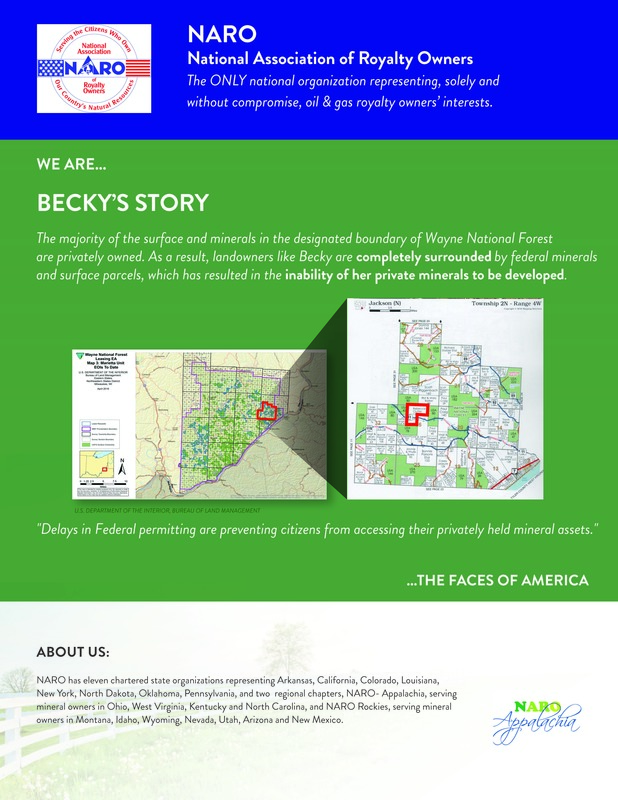 This exact strategy has been employed by CBD in its effort to stop development in Ohio’s Wayne National Forest, as you can clearly see in this National Association of Royalty Owner’s (NARO) infographic. With “psychological warfare” and endless litigation as its admitted strategy, CBD has not had to trouble itself hiring scientific experts or those concerned primarily with the nuances of species protection. Instead it has decided to recruit from top law schools, not primarily to ensure that we have clean water and air, or that loggerhead sea turtles thrive, but to shut down, if possible, entire industries that humans rely upon for survival and, failing that, to reap financial windfalls through abuse of the law. It is not “winning” that CBD is interested in – it is using the process itself to frustrate the aims of regulators, other NGOs and industries trying to create a safe and healthy environment for humans and other species. This strategy allows CBD to generate a lot of media attention and even more money, while never having to actually help find a solution to any environmental problem. If CBD existed to help advance environmental policy, it would work with regulators, industry and NGOs to advocate for and craft laws and regulations to suit its ends. Instead, it seeks to “cripple – and eliminate, if possible – industry.” It appears that’s precisely the case with the Wayne National Forest, as CBD’s efforts to “mock” regulators has led to a complete gridlock in allowing regulators to do their job to adjudicate requests for permits and mineral development. Meanwhile, as the regulatory gears remain jammed, there’s no doubt that the CBD and its team of lawyers are working overtime to try and settle with the federal government, as they have done over and over again in cases all over the country. CBD is, first and foremost, a deep-pocketed law firm. The group’s 2016 Form 990 shows revenue in excess of $14 million. It’s hometown newspaper, the Tucson Citizen, has called it a “multimillion dollar environmental litigation factory.” Unfortunately, it is a “factory” that is willing to say or do, it seems, almost anything in pursuit of its ideological agenda, regardless of its relationship to the truth or its actual impact on the environment. “You and I are a major source of revenue for that industry. The Interior Department must respond within 90 days to petitions to list species under the Endangered Species Act. Otherwise, petitioners like the Center for Biological Diversity get to sue and collect attorney fees from the Justice Department. 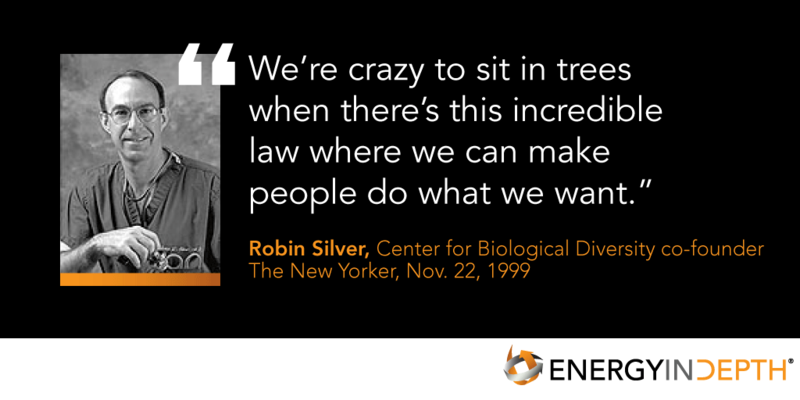 “Eno figures the feds could ’recover and delist three dozen species‘ with the resources they spend responding to the Center for Biological Diversity’s litigation. 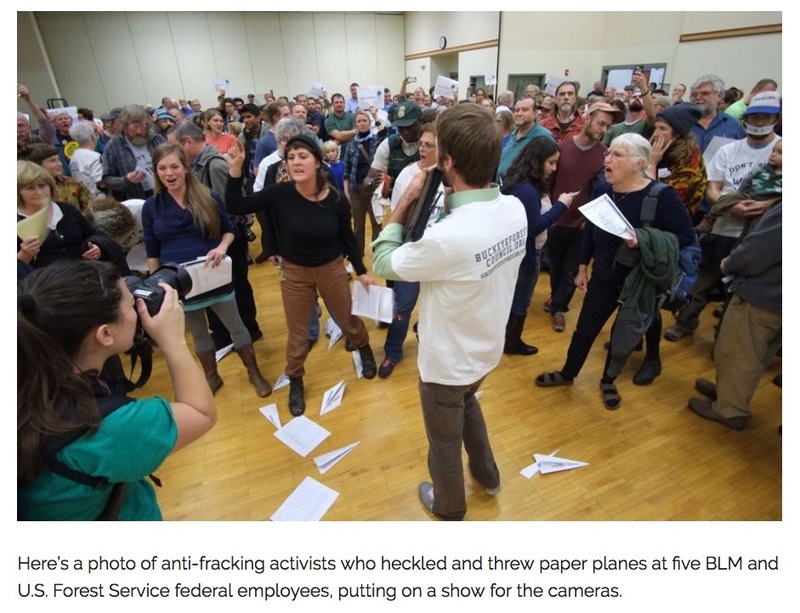 It is for that reason that CBD’s Taylor McKinnon’s claim that the group’s Wayne National Forest lawsuit was being filed to “stop this dangerous fracking plan because drinking water safety and public lands should come before corporate profits” was so disingenuous. In response to investigations, CBD called for the chairman’s retirement, saying in the press release “good riddance” to then-Chairman Hastings. In addition, the NGO also put out a flurry of press releases slamming Hastings in retaliation. Fast forward to just a few months ago, House Natural Resources Committee Chairman Rob Bishop (R-Utah) and Subcommittee on Oversight and Investigations Chairman Bruce Westerman (R-Ark.) opened another probe into CBD as part of an ongoing investigation into the organization and foreign influence on U.S. natural resources and environmental policy. In other words, CBD has not only grown into a litigation factory, but a taxpayer-funded cash cow with clear ties to foreign influence that is simultaneously stalling America’s move toward energy dominance. In addition to filing suits to frustrate the efforts of regulators, CBD brings legal action so that it can write press releases about … bringing legal action. This strategy has been relatively successful, especially in Ohio around the Wayne. The news media has too frequently “reported” on these legal filings without understanding the broader strategy behind many of them. A visit to the group’s online “Newsroom” reveals a steady churn of adjective-laden press releases, often several a day, many of them regarding filed or ongoing litigation. In fact, as of this writing, CBD has issued 395 press releases in 2018 alone. By the time you read this, the number is sure to be higher. CBD press releases follow a familiar pattern: amp-up the adjectives, seek to scare – rather than inform – the reader, repeat. There’s no “just the facts” for CBD. This May 2017 press release is, as noted previously, an attempt to nullify the years of significant environmental reviews that went into the Environmental Assessment that concluded there would be “no significant impact” from the development of oil and natural gas in the area, allowing leasing in the Wayne National Forest. Energy In Depth has reported on this circumstance previously. Probably the most absurd allegation is the fact that CBD claims there was not a “hard look’ at how the Wayne National Forest’s many natural values would be impacted by fracking and horizontal drilling, in violation of NEPA’s requirement for federal agencies to disclose significant environmental effects of their proposed actions.” They also mention that there was not enough “public notice and comment” and the decision to lease was “rushed.” Federal agencies have been debating and conducting environmental reviews around this subject since 2011. The decision to lease federal minerals did not come until October 2016. During those years of review there were multiple public notices, meetings, and comment periods, as EID has covered extensively. The entire premise of this typical CBD press release is an attempt to scare Ohioans into believing that the federal government did not include dangers to wildlife, watersheds, and the Ohio River, rushed to make its decision and rejected public opinion, which CBD knows to be false. In this blog post, we have only scratched the surface of CBD’s radical ideology, its legal strategy premised on harassment and obstruction, its disinterest in science as an objective enterprise, and the techniques it uses to mislead the media and the public. And we have done so only in the context of the group’s anti-energy crusade, which Energy In Depth has reported on extensively. From the story of its origin to its anti-regulatory activities, there is ample evidence that CBD has positioned itself so far to the fringe of the debate over oil and gas development that it borders on journalistic malpractice to trust any “analysis” or claim it makes without independent investigation. Any entity – a government agency, an industry, an NGO – should have its claims investigated and held up to journalistic scrutiny. That is equally true for the activists of CBD. Citizens seeking facts and reliable information about environmental policy, and journalists seeking credible information on the science behind energy development, should be wary and should most likely look elsewhere.